Here's a few things you should know before you take-off on your next trip. Stay up to date with TSA delays, airport parking and weather alerts. CVG Airport is undergoing major roadway improvements near the Terminal. Please be alert for traffic flow changes and consider extra time for your departure and/or passenger pick up. Due to high passenger volume between 6:00am – 10:00am, we recommend arriving 2.5 hours before departure. To save time waiting in lines you can use our mobile app to check-in and go through the bag drop queue to drop off any checked baggage. Download our mobile app from the Apple App Store or get it on your Android from Google Play. Due to construction at the airport, we recommend arriving 2 hours before departure to the ticket counter. Our check-in cutoff is 45 minutes prior to departure. In order to ensure your baggage makes it on your flight we must adhere to the cutoff time. To save time you can use our mobile app to check-in and go through the bag drop queue to drop off checked bags. Download our mobile app from the Apple App Store or get it on your Android from Google Play. The construction period is expected to last through 2019. Due to high passenger volume going through TSA Security Lines, we recommend arriving 3 hours before departure. To save time waiting in lines you can use our mobile app to check-in and go through the bag drop queue to drop off any checked baggage. Download our mobile app from the Apple App Store or get it on your Android from Google Play. Due to high passenger volume between 5:00am and 7:00am, we recommend arriving 2.5 hours before departure. Our ticket counter opens at 3:30am. Additionally, due to the volume in the baggage screening process, we will adhere to the 45-minute cut off for baggage acceptance. To save time, use our mobile app to check-in and then go through the bag drop queue to drop off your checked baggage. Download our mobile app from the Apple App Store or get it on your Android from Google Play. Due to high passenger volume going through TSA Security Lines, we recommend arriving 3 hours before departure. To save time, use our mobile app to check-in and then go through the bag drop queue to drop off your checked baggage. Download our mobile app from the Apple App Store or get it on your Android from Google Play. Starting November 15th, Frontier Airlines is moving its operations at the Austin-Bergstrom Airport from the Main Terminal to the South Terminal.These terminals are 20 minutes apart. For more information about the terminal and the locations, please visit http://austinsouthterminal.com. - Take 183 south and take a left on Burleson Rd. - Take 183 north and take a right on Burleson Rd. Beginning Saturday May 12, 2018 Frontier will re-locate all operations to Terminal 5 at Chicago’s O’Hare International Airport (ORD). In a joint effort with the Chicago Department of Aviation and part of the airports modernization plan, we’re pleased to offer both our domestic and international passengers more ease of transfer at ORD. Passengers are advised to please follow airport signage into the airport and take the Bessie Coleman exit to access passenger departures / arrivals for T5. 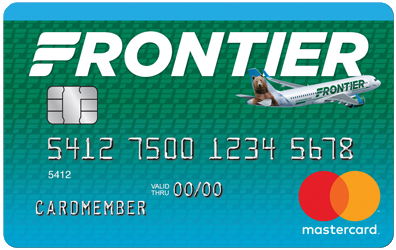 The Frontier ticket counter now operates out of Terminal C. Please follow airport signage to boarding location. Arriving flights, baggage claim and passenger pick-up are located at Terminal D.
Due to construction at LaGuardia, keep in mind the airport is experiencing extreme traffic delays. More information at LaGuardia Travel Advisories. Grand Central Parkway's westbound Exit 7 provides access to Terminals C and D. More details at LaGuardia New Traffic Pattern Information. We have moved to Terminal 5. Checkpoint closes at 10:20pm in Terminal A. Frontier will be moving on or around the second week of November 2018 from Terminal C to Terminal E at the Tampa International Airport. The move will begin approximately November 10, with work progressing until approximately November 14th. The move will be from the gates we primarily use, C44 and C45, to E74 and E75. Starting January 9th, Frontier Airlines is moving its operations to most likely gate F1 and/or F2. The concourse is a common use concourse which can cause the gates to change periodically. Please plan accordingly. The FAA and the U.S Department of Transportation have issued a ban on all Samsung Galaxy Note7 devices on board all aircraft in the US. You must comply with the FAA/DOT ban. For safety reasons, personal electric vehicles (self-balancing scooters, electric skateboards, drift boards, hover boards and rover boards) are not allowed on any Frontier Flight.